Thanks to gene therapy, deaf mice can now hear again. 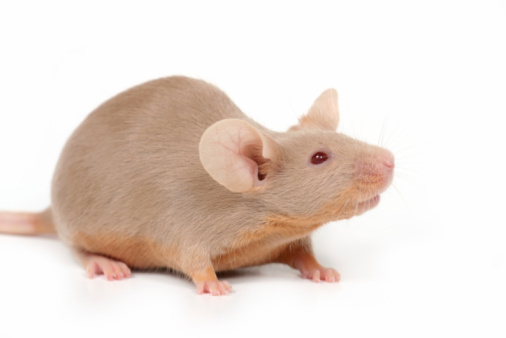 A new study, published in the journal Science Translational Medicine, is revealing that through the use of gene therapy, researchers have been able to restore the hearing in mice that had been deaf since birth due to a genetic form of deafness. In this study, researchers focused on the TMC1 gene, one of the common causes of genetic deafness, and tested two groups of mice. One group had the TMC1 gene removed from their system, to rule out hearing loss developed as a result of two TMC1 gene mutations, which can occur in children at a young age. The other group of mice had a specific TMC1 gene mutation called Beethoven, a good model for genetic deafness. In order to properly deliver the gene, scientists created an adeno-associated viral 1 (AAV1) with a promoter, which is used as a genetic sequence to turn the gene on in certain sensory cells of the inner ear. After conducting several screenings of AAV1 serotypes and promoters, researchers discovered one combination that successfully restored sensory transduction, auditory brainstem responses, and acoustic reflexes in deaf mice. The results: scientists and researchers were able to fully restore the ability of sensory hair cells to respond to sound in the mice that were carrying the TMC1 gene Beethoven. The World Health Organization (WHO) estimates that 360 million Americans have some form of hearing loss. TMC1 deafness accounts for four to eight percent of all deafness cases. Researchers believe that the findings of this recent study could pave the way for gene therapy for treating deafness and restoring hearing to be tested in human trials. Lam, P., “Deaf mice able to hear again thanks to gene therapy,” Medical News Today web site, July 13, 2015; http://www.medicalnewstoday.com/articles/296576.php.